The shape of track bolt is different from hexagonal bolt. The end is semispheric with two raised parts. As it is used to connect the fish plates, so it is also called fish bolt. The track bolt diameter varies on track hole diameter. The thicknesses of fish plate are different, so the lengths of track bolt differs too. Company Profile：Ji'nan Star Fastener Co., Ltd., located in the beautiful spring city Shandong city of Ji'nan province. Department of Shandong Province Fastener backbone enterprises, China fastener Professional Association executive director of the unit. The company is mainly engaged in producing fastener products, products are mainly fish bolts, screw spike, square bolts, T bolts, six head bolt, six flange bolts, round head square neck bolt and semi round head with oval neck bolts, U bolts, anchor bolt, track bolt, six countersunk head wood screws in six, screws, six angle square nuts and various washers for railway. The product standard German standard, Australian standard, Japanese standard, GB and American Standard. Product specifications for M39 - M6 (1/4 &quot;- 1-1/2&quot;). The performance of grade 4.6, 4.8, 5.8, 6.8, 8.8, 10.9 and 12.9 grade (grade 2, grade 5, Grade 8 and grade 10). Product surface treatment: zinc (Cr3+), hair blue, hot dip galvanized, galvanized dyeing. Annual output of 20 thousand tons of fasteners. 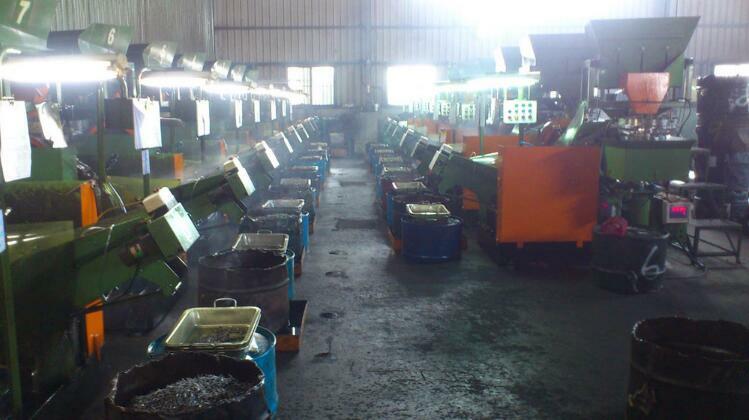 The company has domestic and foreign advanced level of multi station cold heading machine and all kinds of fasteners manufacturing equipment, raw materials, controlled atmosphere annealing furnace mesh belt heat treatment furnace, electric galvanizing production line, hot galvanizing production line and black line. The company has strong technical force and complete quality testing equipment, products can meet the requirements of the standard and meet customer requirements. Customer satisfaction is our goal, we will continue to forge ahead, strive to improve the hardware facilities of enterprises, enhance the core competitiveness of enterprises, the relentless pursuit of first-class technology, excellent quality, perfect service, to create a humane management environment, create with limited features of Ji'nan Star fastener enterprise culture and management idea, wholeheartedly your service. Companies adhering to the &quot;quality first, service-oriented&quot; business philosophy, adhere to the &quot;user God said to do; but the quality of life on the action of&quot; business principles; to achieve &quot;the customer as the center, the customer requirements for standards, adhere to continuous improvement, to achieve all the standards of product quality policy, customer satisfaction&quot;. Over the years to actively participate in domestic and international exhibitions, the consolidation of old customers, new customers, and customer communication and communication in the establishment of friendship, become friends. Products are exported to the United States, Australia, Europe, Japan, the Middle East and other twenty countries and regions, by the new and old customers welcome.